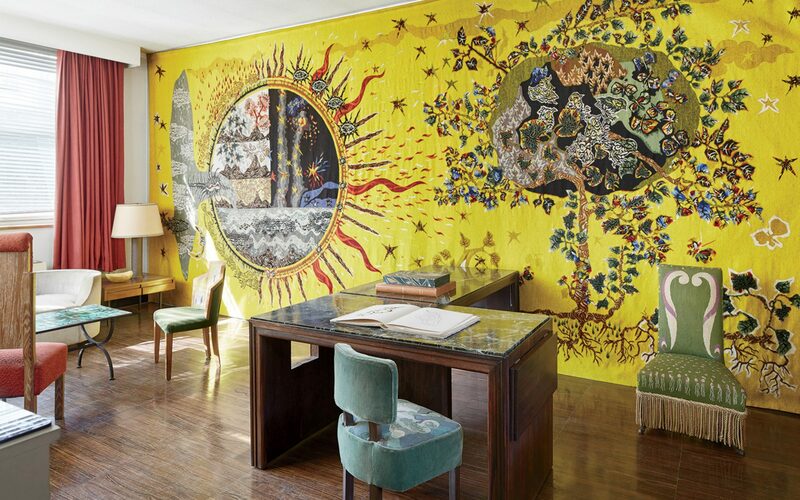 The sitting room of Villa Seurat, the Paris home of Jean Lurçat, features a custom-designed wall covering by Aubusson. Even Parisians who pride themselves on knowing every cul-de-sac, every secret garden, and every arcane street in the city are surprised to discover the Villa Seurat, an enclave—not a house as the name suggests—in the 14th arrondissement. 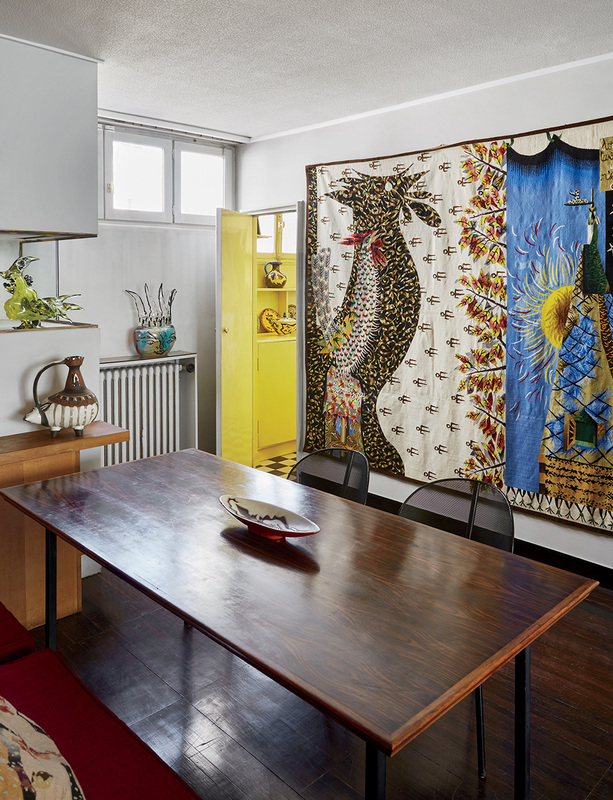 The short street is where Jean Lurçat, the French painter and tapestry master, lived in a white stucco-and-glass house—designed in collaboration with his brother, the modernist architect André Lurçat, and built in 1925—until he died in 1966. The house—constructed primarily to function as an artist’s studio, as many artists were leaving the too-expensive Montparnasse neighborhood for a less costly place in which to live and work—was the first of eight similar buildings on the street, which André built in the style of the avant-garde architect Walter Gropius, the founder of the Bauhaus movement. 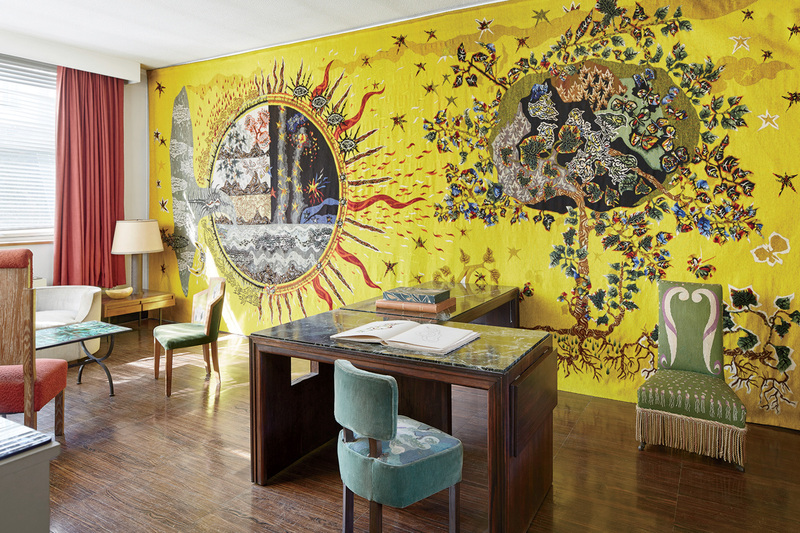 After Jean Lurçat’s death, his widow, Simone, lived there until 2010, willing the house and its contents—all of the Lurçats’ original furnishings—with pieces by the renowned French architect Pierre Chareau and designer Mathieu Matégot—as well as over 1,400 drawings, numerous paintings, diaries, and some of the best examples of both Lurçat’s ceramics and the beautifully detailed bright tapestries for which he became famous. “Lurçat was an artist completely engaged in his time,” explained Xavier Hermel, who, as the administrator of the Jean and Simone Lurçat Foundation, has been in charge of the renovation of the house for the past 12 years, which is now archived in the Historic Monuments of France under the aegis of Paris’s prestigious Académie des Beaux Arts. 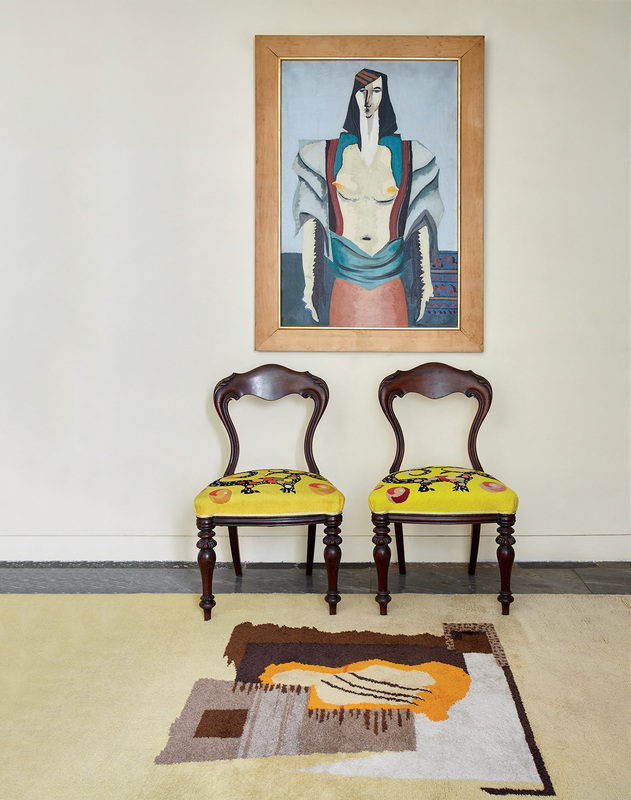 By the end of the 1930s, Lurçat had given up painting entirely and was dedicating his career to the reanimation of revered French textile companies like Aubusson and the Manufacture Gobelins. 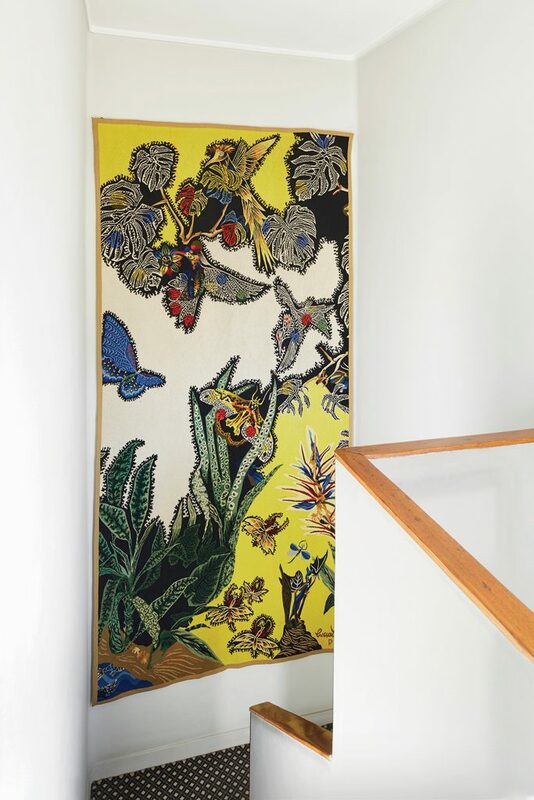 Working in tapestry suited Lurçat, who was also a writer, a poet, book illustrator, and an inveterate traveler—and who wanted to create a more public art. These days, Hermel is energetically trying to raise funds to be able to renovate and open the house to the public. 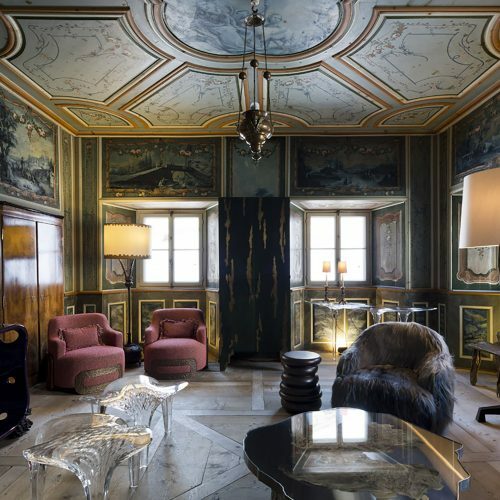 As one is shown through the building on a private tour, one can’t help being amazed at being able to walk through such an interior—one that has remained untouched for decades. Lurçat’s joyous and colorful tapestries cover the walls, his ceramics are displayed on tables, and dozens of his paintings are stacked in the light-filled, top-floor studio. 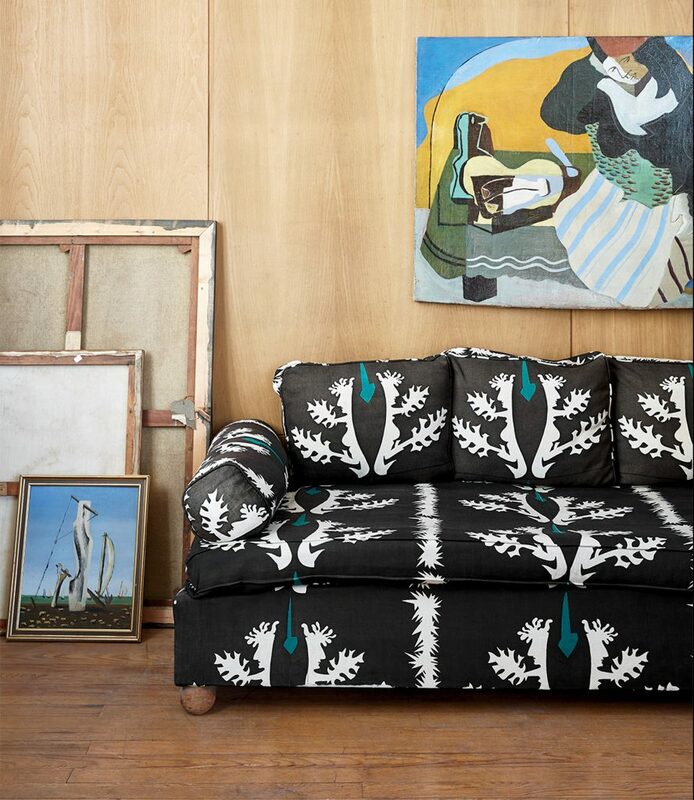 Unsurprisingly, Patrick Frey, president and creative director of the French fabric company Pierre Frey, was inspired by the fabric he saw on a sofa in the house to create a collection that could capture the spirit of Lurçat’s work. 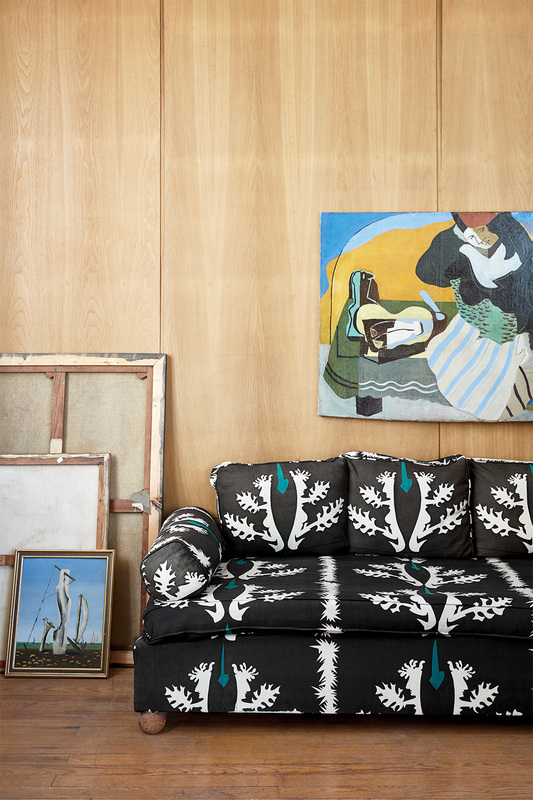 With its colorful palette and inspirational patterns, the textiles offer a tribute to the work of a vibrant artist and a wonderfully creative period in French history. 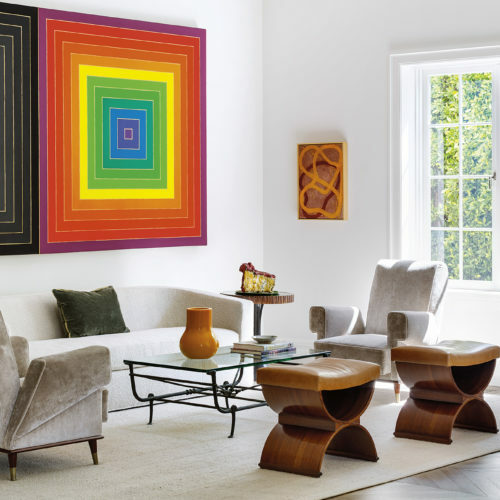 A version of this article first appeared in print in our 2016 Winter issue under the headline “Tapestry Treasures.” Subscribe to the magazine.